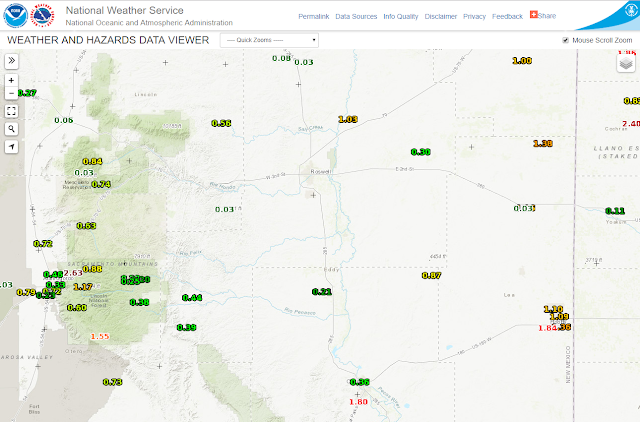 Overnight Reported Rainfall Totals As Of 5 AM MDT. 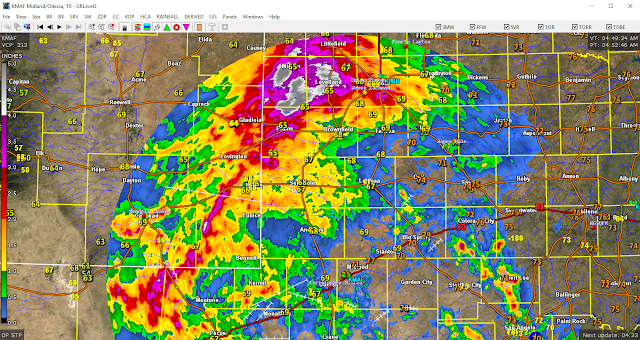 Radar Estimated 24 Hour Rainfall Totals. 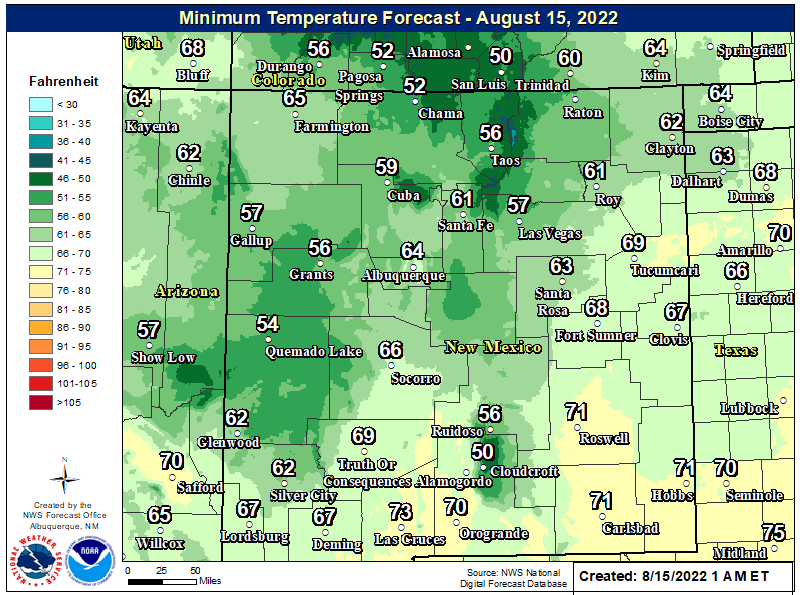 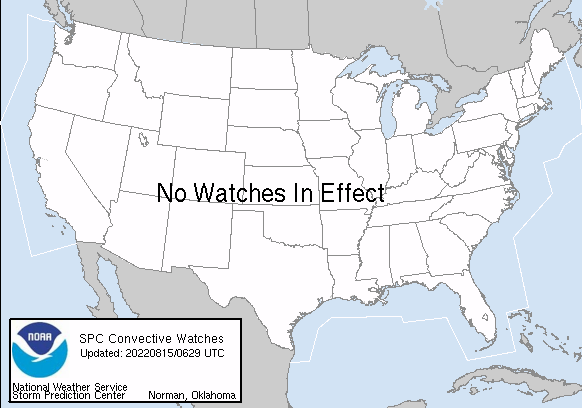 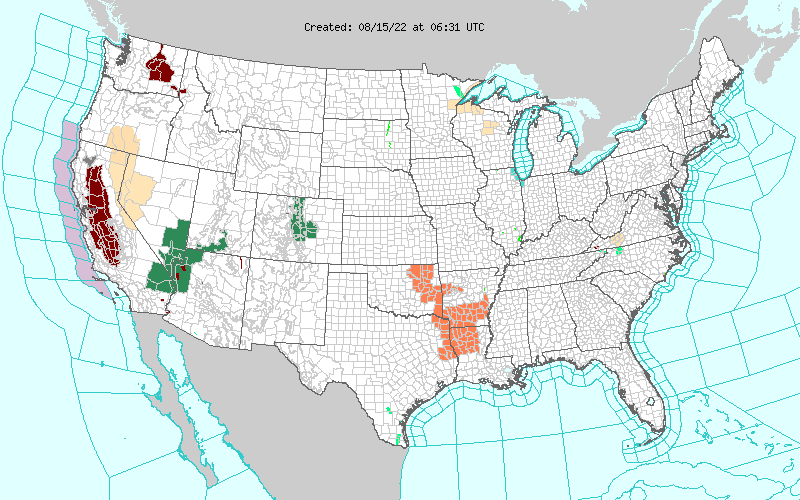 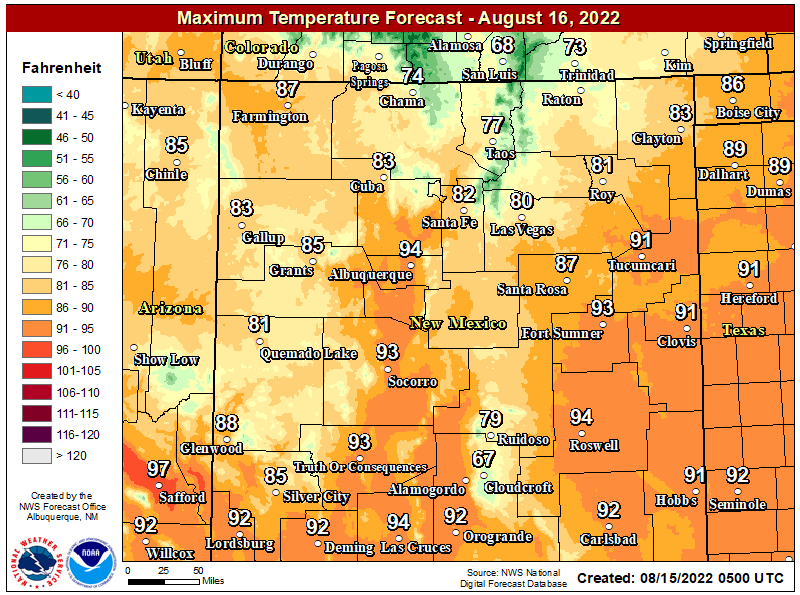 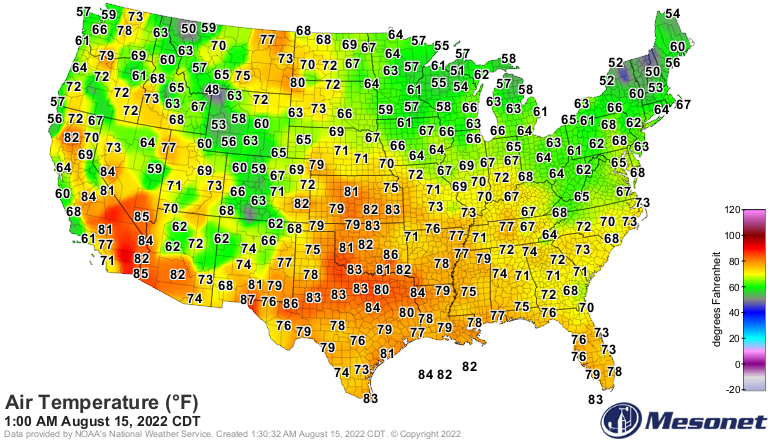 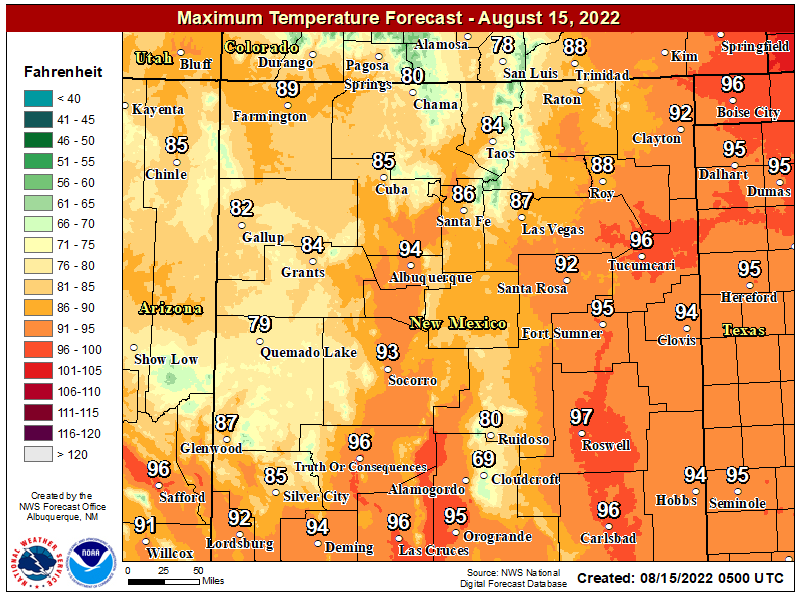 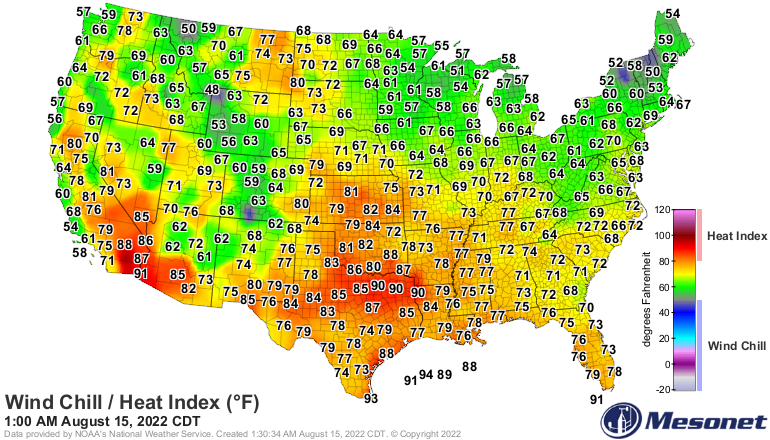 (As Of 5 AM MDT This Morning). NWS Midland Dual Pol Doppler Radar. 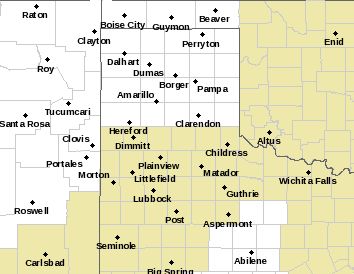 NWS Lubbock Dual Pol Doppler Radar. 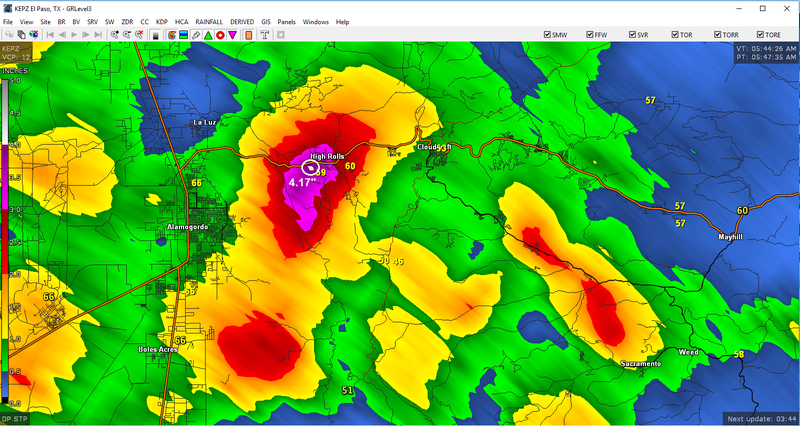 NWS El Paso/Santa Teresa Dual Pol Doppler Radar. 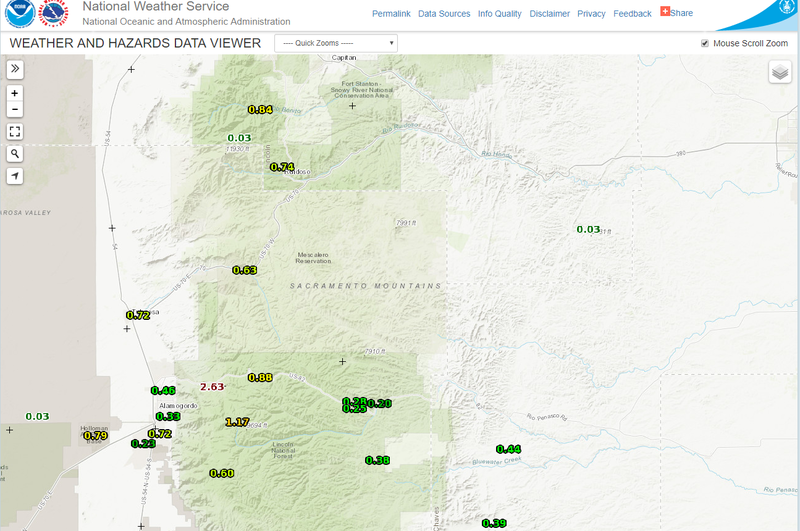 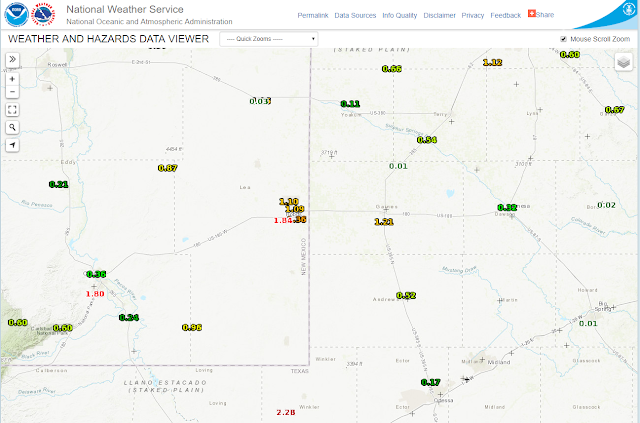 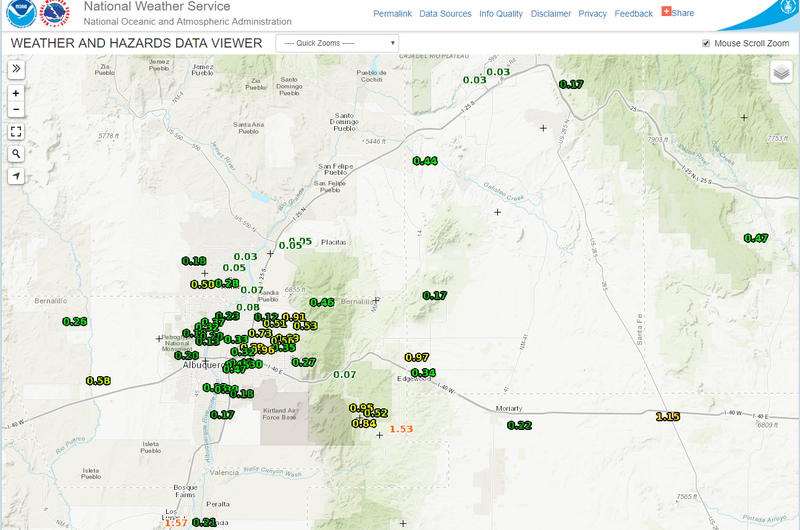 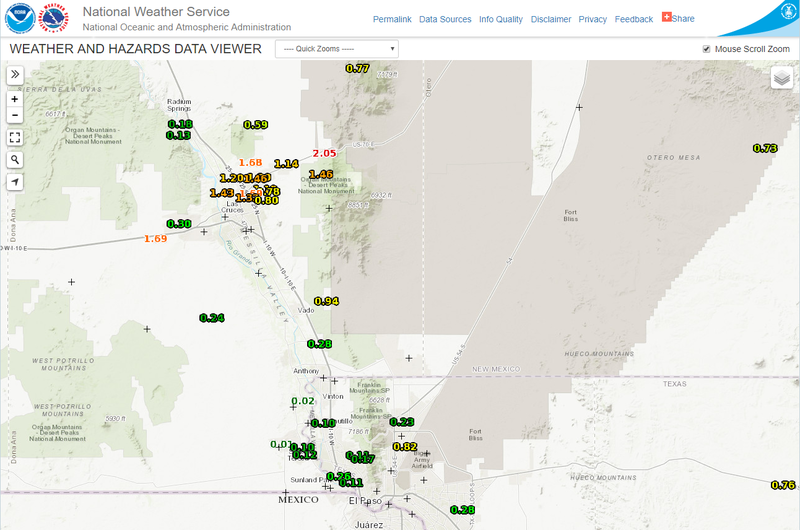 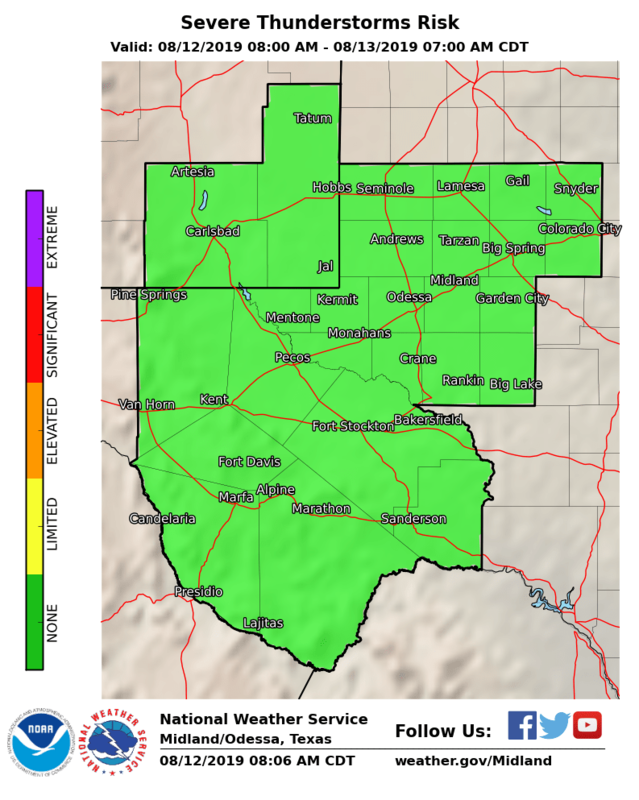 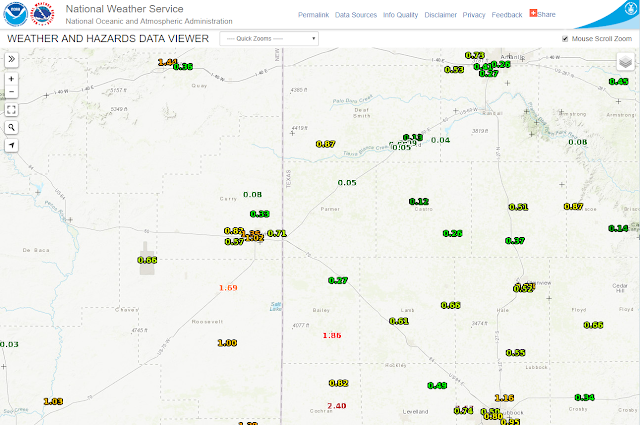 NWS MesoWest Reported 24 Hour Rainfall Totals. As of 5 AM MDT this Tuesday, August 1st, 2017 I had measured .36" here at our home in NW Carlsbad overnight. 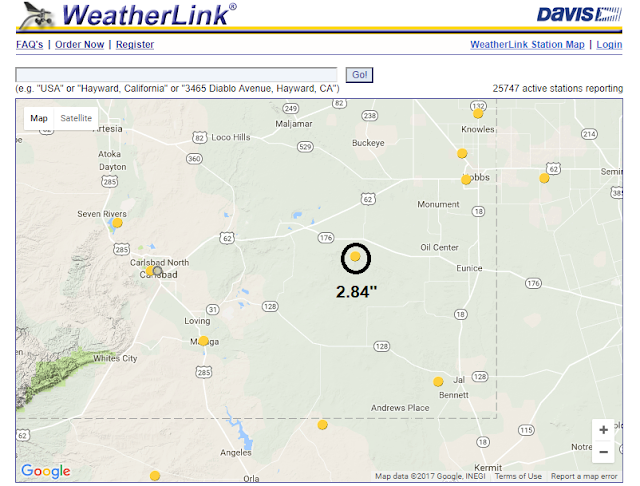 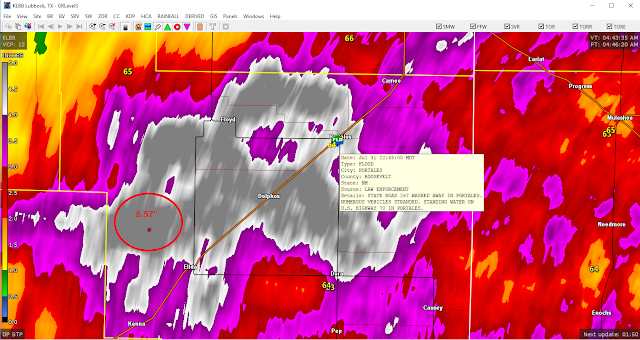 Compare this to the Carlsbad Airport ASOS total of 1.80" located 6 miles to my SSW. 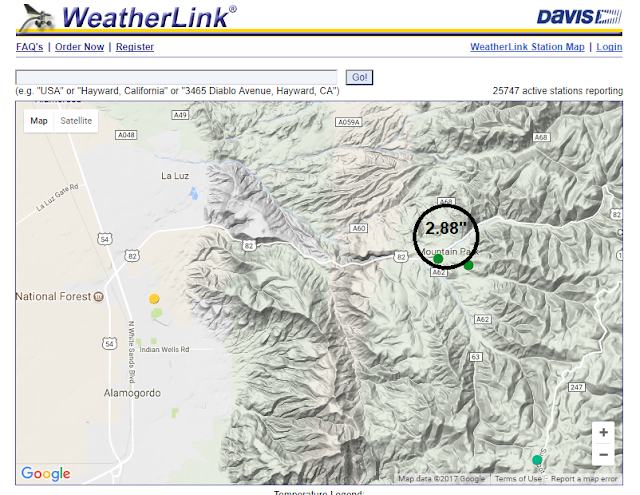 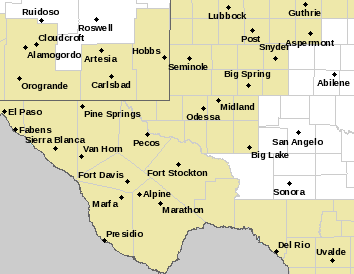 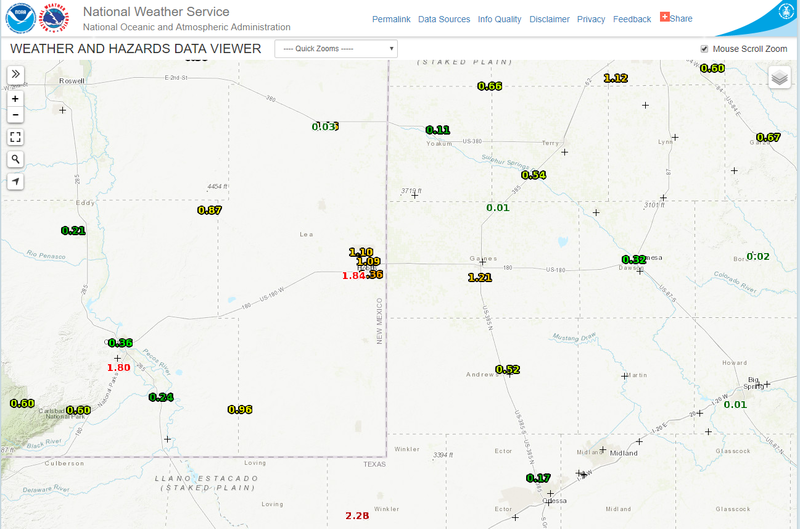 The Bowl Raws just north of Guadalupe Peak had picked up 2.05". 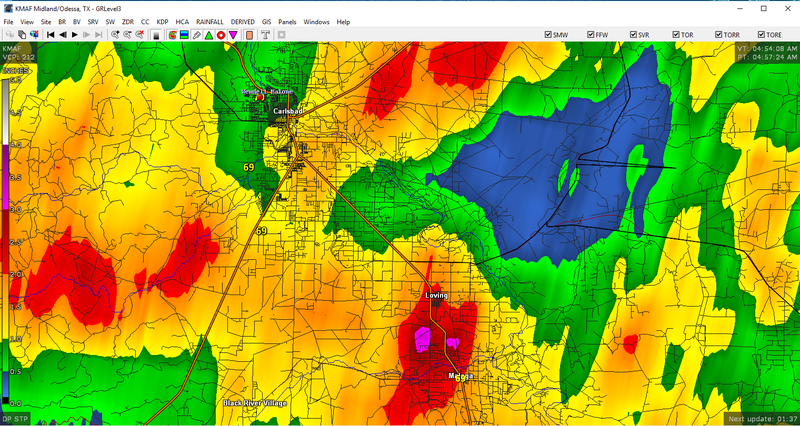 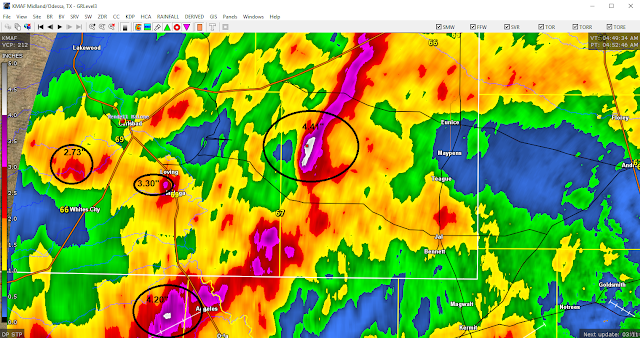 Radar estimated that 3.00" to 3.30" of rain may have fallen between Loving and Malaga. 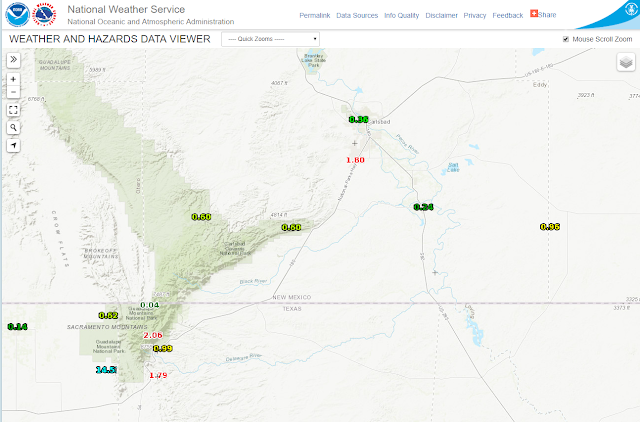 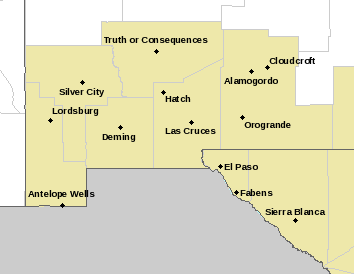 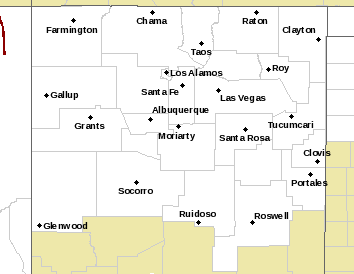 The El Paso radar estimated that 4.00" of rain fell near the High Rolls area.